You are currently browsing the The Pet Product Guru blog archives for the day Sunday, May 13th, 2018. If your dog has diabetes, how you feed him could be critical to managing the disease. For dogs taking insulin, food must be given in the same amount and at the same time everyday to keep blood sugar levels constant. The key to maintaining good heath is balancing food and insulin with exercise. Your veterinarian may prescribe a specially formulated dog food, usually with higher fiber and lower fat than regular dog rations. Treats between meals should not be given. Homemade diets are not good for a diabetic dog because they are too variable. Diabetic dogs do best when they are at their ideal weight. 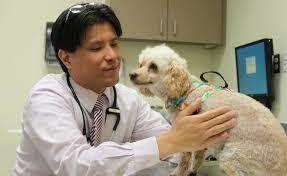 Your veterinarian will recommend a diet to keep a dog that is heavy or too thin at his ideal weight. Our blog has been going for about nine years and our radio station, Edgewater Gold Radio has been on the internet for over 16 years. It was started when internet radio was in it’s infancy but managed to grow and survive. We play the greatest variety of oldies from the 50s 60s 70s 80s plus we add in great pop standards. You may download the free Edgewater Gold Radio app or listen on many other apps such as Tunein, Nobex, Live 365, my Tuner etc. Our website contains content relevant to the residents of Rehoboth Beach, Delaware but you may read our many blog posts that cover all areas of interest and listen online. Check out Edgewater Gold Radio.